Paying monthly premiums are part of any auto insurance policy. However, there are many factors that influence how high or low these premiums are. Rates are not only influenced by your personal circumstances (age, marital status, location), but also by indirect factors, for example by how likely you are to need certain services. Click here to see how your job may affect your auto insurance rate. Your monthly car insurance rate is heavily affected by the type of car you drive. Insurance companies often analyze industry safety reports to develop vehicle safety ratings, and offer drivers of safer cars better rates or even discounts. Rates may also be influenced by how statistically likely cars are to be susceptible to damage or theft. So you might want to factor this aspect into your decision when deciding on buying a new car. Other aspects that factor into you insurance rate can include the age of your car, the likelihood of theft and its size. Have you already been involved in accidents or incidents? Your personal driving history can greatly affect the rates you are charged. Your premiums are likely to be lower if you have a clean driving record. Insurance companies look at your record to calculate how likely you are to need certain services. Your premiums will decrease with the length of time that you have held your license. New drivers are likely to be charged much higher premiums due to higher risk of accidents. Moreover, your type of coverage and deductibles will affect your monthly premiums. A deductible is the amount that you pay for car damages, accidents or theft before you insurance company chips in. Setting a higher deductible will lower your monthly premiums considerably. Why? Because you are assuming more risk, leading to lower costs for the insurance company. 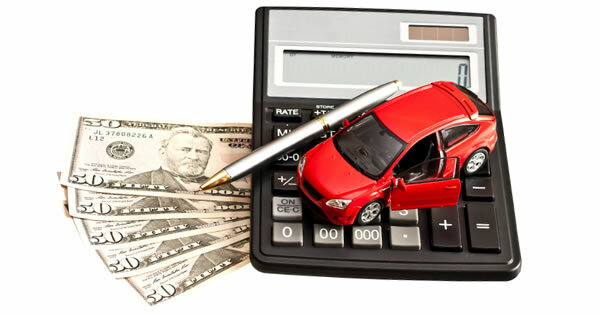 Although a controversial practice, some auto insurance companies may also use your credit score to calculate rates. Many insurance companies claim that there is a statistical correlation between how individuals manage their financial affairs, and how many claims they file. Lower credit scores often mean higher auto insurance premiums. Buying auto insurance is a major cost, but there are many ways to lower your premiums, for example by having a clean driving record and a good credit score. Many insurance companies also offer discounts if you bundle policies, so you may want to look into these offers.